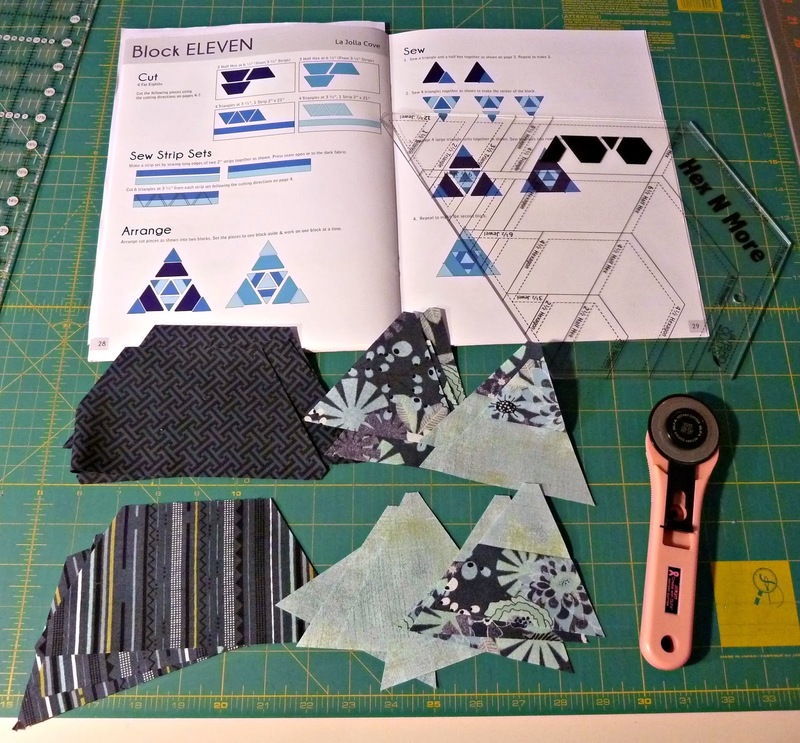 We're in the homestretch of our Toes in the Sand BOM at Quilter's Way. Block 11 is almost identical to Block 5 so there are no construction challenges this month. It helps to press your seam allowances away from the center triangle. 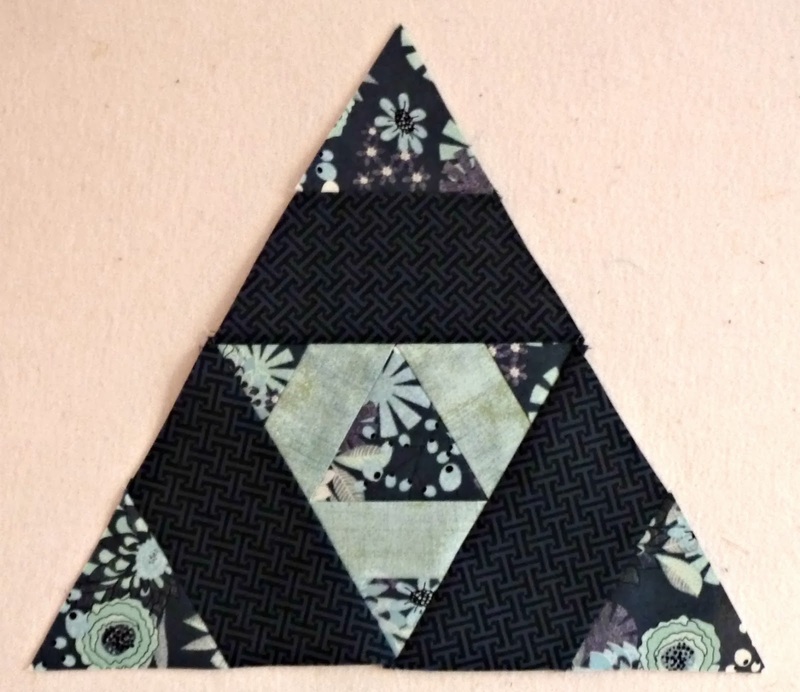 When you attach your side triangles sew them with the center block up. You will see an X where your seam lines cross. 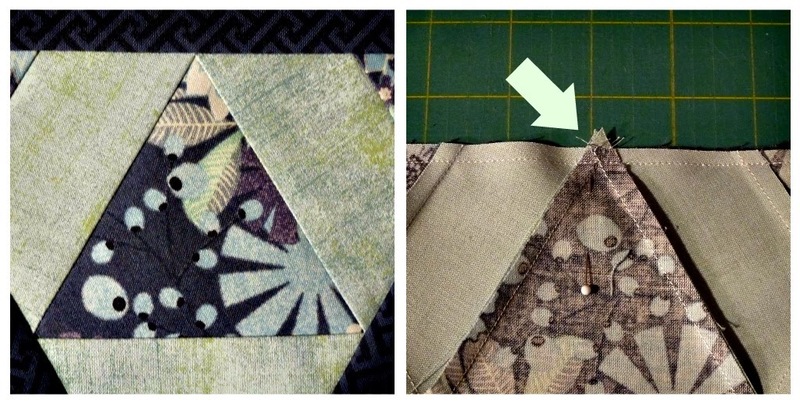 Sew directly through the middle of that X and your points will be perfect! Love your colours! Aren't those Toes in the Sand blocks fun? The ruler really does make it easier than I thought it would be. Thanks for the reminder that I need to get back to mine... my blocks are all done and I'm on to constructing the top! Don't you just love when you get perfect points? I can't wait to see the top all finished! Soon enough. My favorite blocks so far. Love those colors!